CombatCritic's "TravelValue": Naples, Italy: I Have A "Hunch" You Will Like "Il Gobbetto"
Naples, Italy: I Have A "Hunch" You Will Like "Il Gobbetto"
I had read the favorable reviews of Il Gobbetto, literally "The Hunchback", so we decided to have a look inside as we happened by. 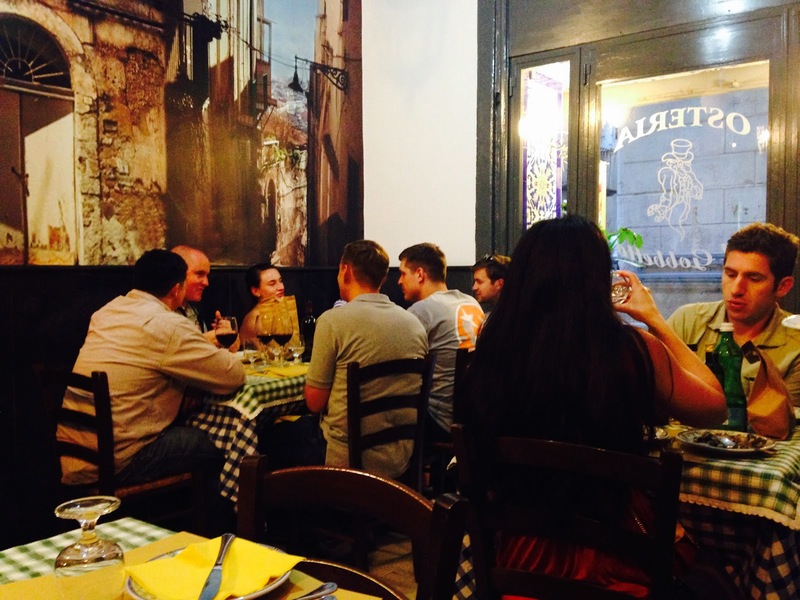 It is a cute little place just off Via Toledo and a stones throw from the infamous Teatro San Carlo, but a bit cramped with too many tables for the small room. It seems as though they cater to tourists as foreigners made up most of the clientele. We were squeezed into a corner table by the owner who speaks a little English, making maneuvering the elbows a little difficult. As is usually the case, our eyes were, metaphorically speaking, bigger than our stomachs and we ended up ordering antipasti (appetizers) and primi (first courses). For my wife's antipasto she ordered the Pacchero Fritto (€3), four deep fried ??? cheese squares that were rather uninspiring. 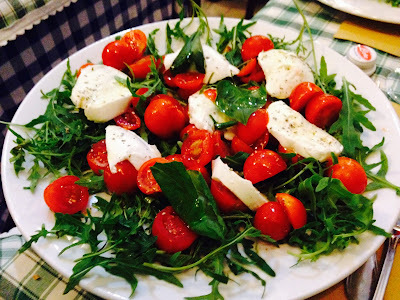 I on the other hand had l'insalata Caprese (Caprese salad - €6), sliced, ripe, juicy cherry tomatoes on a bed of rucola, and thick slices of mozzarella di bufala (mozzarella cheese made from milk of water buffalo, a specialty of Southern Italy's Mediterranean coastal region) topped with fresh basil leaves. You would easily pay $8 to $15 for a dish like this in the states, so the $6.75 price tag was not difficult to swallow ... yuk-yuk. For our primi and final courses of the night we decided to go with pasta. 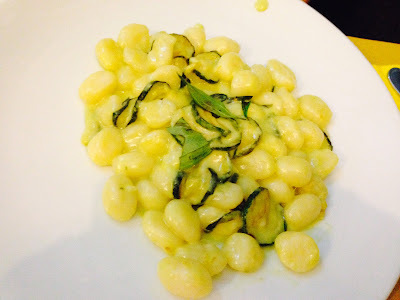 My wife had the Gnocchi del Gobbetto (€6), handmade gnocchi (potato dumplings) in a creamy cheese sauce with sliced zucchini and topped with fresh basil. The gnocchi were perfectly cooked, not too soft, not too hard, and the sauce perfectly complimented the lightness of the thinly sliced zucchini. The portion was perfect with just enough to fill you without bursting and the price extremely fair compared to U.S. restaurant standards. 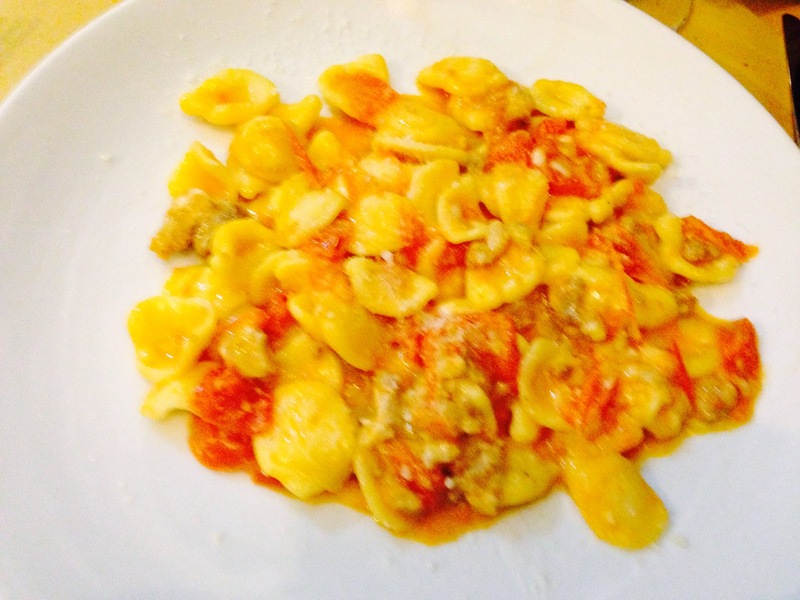 My Orecchiette Salsiccia e Provola (ear shaped pasta in a tomato sauce with ground sweet sausage and melted provolone cheese - €6) was exquisite. Again, handmade pasta, as is the case in most restaurants in Italy, was in just the right proportion to sauce, sausage and provolone, and was perfectly "al dente". One of my all-time favorite dishes is orecchiette salsiccia e friarielli (sausage and broccoli rabe sauteed in olive oil and garlic) and this was the first time I tried a version with tomato sauce. It may not become my favorite, but I will definitely be playing with this recipe at home and would order it again in a flash ... HOOAH! Cover charge (coperto) is just €1 per person, the service was excellent, and things moved quickly even though they were rather busy. The owner even took time to dance with a couple of pretty young lady customers in the middle of the room while his wife slaved away in the kitchen (I hope she doesn't read this or I might get him in trouble). Their house red (or white) wine, which is very good, comes in at a paltry €3 per bottle (compare that to a half-liter of inferior house red at Pizzeria Sorbillo - €9) and a liter of mineral water is just €1.50 (€1.50 for a half-liter at Sorbillo). 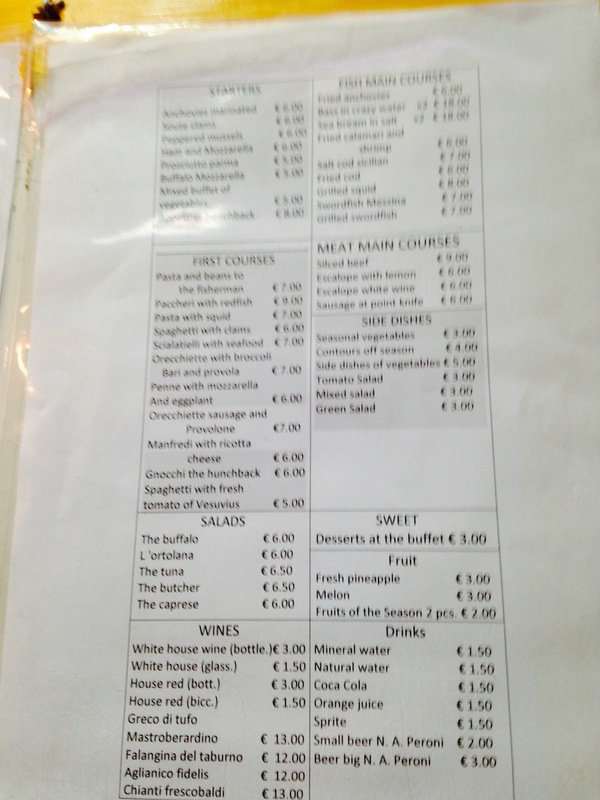 Our bill came to just €28.50 for two courses, wine, and water (plus tip), a tremendous bargain and worth feeling a bit claustrophobic. 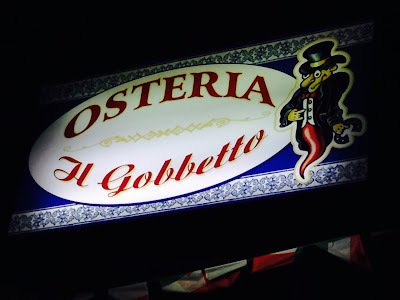 Title: I Have A "Hunch" You Will Like "Il Gobbetto"